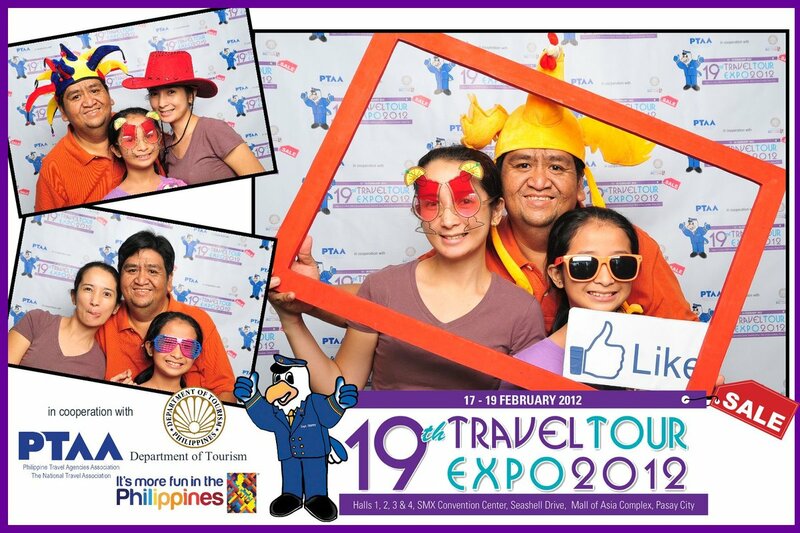 Our visit to the 19th Travel Expo held at the SMX Convention Center in Pasay City was a last minute decision and in fact we were able to go there after lunch of the last day of the expo. Since we were going to Singapore and Malaysia in December, we thought it best to check out what ever information we can get about those places. There was an entrance fee of P50 per person and good for one day (just have your hand stamped so that you can get back to the expo if ever you decide to go out). The place was huge and although it was the last day, there were still a lot of people trying to get a good bargain. I've noticed that the airline companies, both Cebu Pacific and Philippine Airlines, had the longest queues. Most probably, visitors looking for promo fares which the local airlines normally offer. We didn't bother checking these booths as we had already booked our flights over the internet. Without any strategy, we just walked around the place and randomly checking the various booths. What's funny is, instead of getting a good deal for our foreign trip, we purchased a 3-night stay at La Carmela in Boracay for about P3,600. We had previously booked our return ticket to Kalibo for June 2012. I don't know if we got a good deal but we're little by little buying our vacation so that by the time we go to Bora, we will be needing less cash to spend. We hope to visit the 20th Travel Expo again next year.